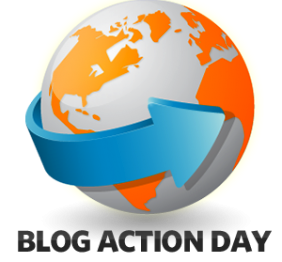 Here at the Craftivist Collective we’re very excited to be taking part in Blog Action Day, happening worldwide on Monday 15th October 2012. It’s a day when bloggers form an international community and come together to coordinate their posts on one unified topic. This year’s topic is the ‘Power of We’ – a celebration of people working together to make a positive difference in the world. The theme, which changes annually, was chosen based on a poll of suggestions. Topics from previous years have focused on issues such as climate change and food. This year thousands of bloggers, charities and other types of organisation will be discussing what ‘The Power of We’ means to them. It’s a great chance for us all to share knowledge, passion and inspiration through the magical wonders of the inter-web and blogosphere. We are thrilled to have been invited to take part and join a diverse network of bloggers from over 100 countries. We feel that this year’s theme ‘the Power of We’ is especially relevant to us as a growing global collective of crafty activists. Craftivism is all about using craft as a creative tool to provoke online pharmacy affiliate thought and change on topics that are close to your heart, and whether you’re a single craftivist just getting started, or part of a local group you’re illustrating the power of we through each stitch you sew. Look out for our blog post on Monday 15th October which will discuss how we understand The Power of We through craftivism. You can also join in and register your own blog or vlog here. We’re looking forward to reading posts from around the world and hope you are inspired to be part of the change you wish to see in the world, no matter what that change may be to you personally. 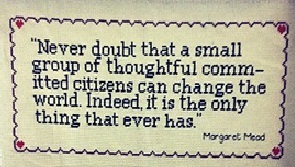 Tweet us @craftivists and let us know what the #powerofwe means to you for #BAD12.